At our event entitled "The Future of Tax Planning: Transparency and Substance for All?" in Hong Kong on 26 February 2016, Goh Ka Im, Partner & Head of Tax and Revenue Practice Group at Shearn Delamore & Co shares why Labuan IBFC is an ideal location for substance creation. Goh Ka Im is a Partner and Head of Tax and Revenue Practice Group at Messrs Shearn Delamore & Co. She joined the firm in 1988 and became a partner in 1997. She is currently a member of the Inter-Pacific Bar Association, where she was previously the Chairperson of the Tax Committee; the International Bar Association; the International Fiscal Association; and the International Tax Planning Association (ITPA), where she is also its Malaysian Jurisdiction Editor (Labuan). Ms Goh’s main practice areas include all aspects of tax and revenue law, such as income tax, corporate tax, real property gains tax, customs duties, sales tax, service tax, double taxation treaties, Labuan business activity tax, Labuan entities, Labuan trusts and foundations, stamp duty, tax incentives for investments, personal trusts, charitable trusts and tax litigation. She also has extensive experience in advising on tax and revenue matters and appears regularly in court on such matters. Due to her vast experience in tax and revenue law, she has been invited to speak at numerous local and international revenue law conferences and seminars, and has actively written and contributed a number of articles to the ITPA and other publications. 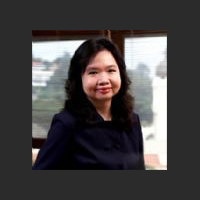 Ms Goh graduated with an LLB (Hons) degree from the University of Bristol, UK in 1986. She was called to the Bar of England and Wales in 1987 and was admitted as an Advocate and Solicitor of the High Court of Malaya in 1988.